I received a copy of this book from the author in exchange for an honest review. All thoughts and opinions expressed here are my own. I love dystopian fiction, which is why I immediately accepted Francis’ review request. Losing Normal is the story of a world where an AI, Sophie, starts controlling the minds of humans through television screens. Alex, an autistic teenager, isn’t as affected as everyone else. How Alex and his ragtag group of friends save the world forms the rest of the story. 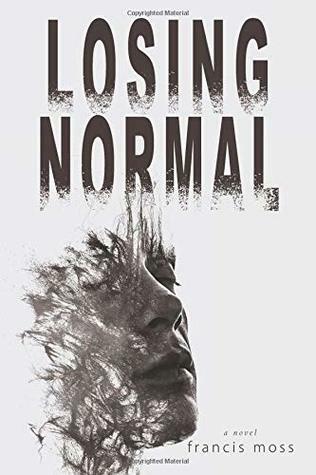 Losing Normal is an entirely plot-driven book–the plot will make you race through the entire book in one sitting. Sentient AI is definitely something that might happen in our near future. This Black Mirror-esque story is all the more enthralling because of how real and possible the sequence of events in it are. While there is an eclectic mix of characters, none make quite an impact as Alex and, to some extent, Sara. The book is told from both their points of view. Though initially different, their voices sound very similar after the first half of the book. This made reading it a little difficult, as I had to also keep track of whose POV I was reading. Losing Normal is a compelling read that will make one think about the effects of technology on humankind. Read it if you like science/dystopian fiction, teenagers saving the world, and meddling, sentient AIs. Previous Post The longlist for the Swansea University International Dylan Thomas Prize is here! This sounds so interesting! Will definitely check it out! Sounds interesting – the thought of technology taking over always freaks me out!